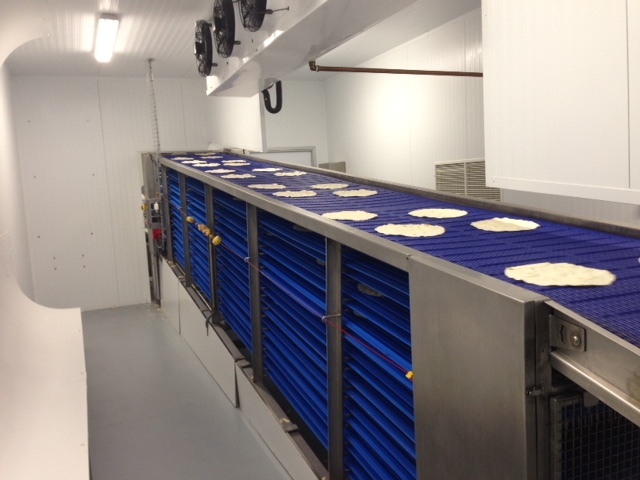 The Flat Bread Company was awarded the 2011 and 2013 ‘Best Technology’ award for two engineering projects it carried out in its production facility. The MEETA society is a special interest group within Engineers Ireland for maintenance, reliability and asset management practitioners. 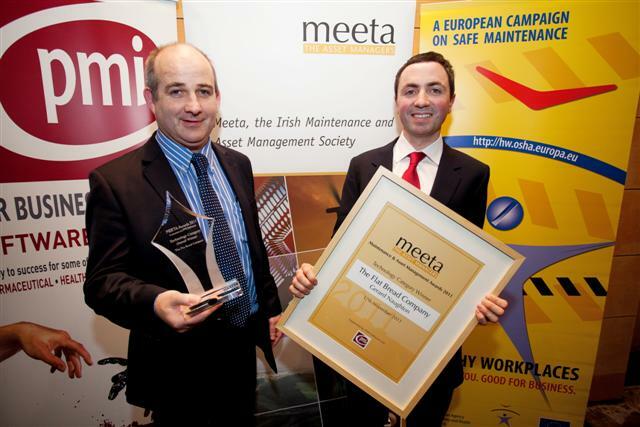 MEETA promotes all aspects of maintenance and asset management in industry, the public sector, semi-state bodies and third level institutions, and represents interests on national and international issues such as education, infrastructure and all development of the practice in Ireland. In 2011 the Flat Bread Company carried out modifications to the conveyor system used to cool the pizzas and tortillas prior to packing. The conveyors were becoming blocked on a regular basis, resulting in loss of production time and expensive maintenance costs. The project involved the removal of an inefficient and troublesome transmission system and replacing it with 9 individual, direct drive motors, gearboxes and inverters. As a result the conveyors run more smoothly and blockages are far less frequent. 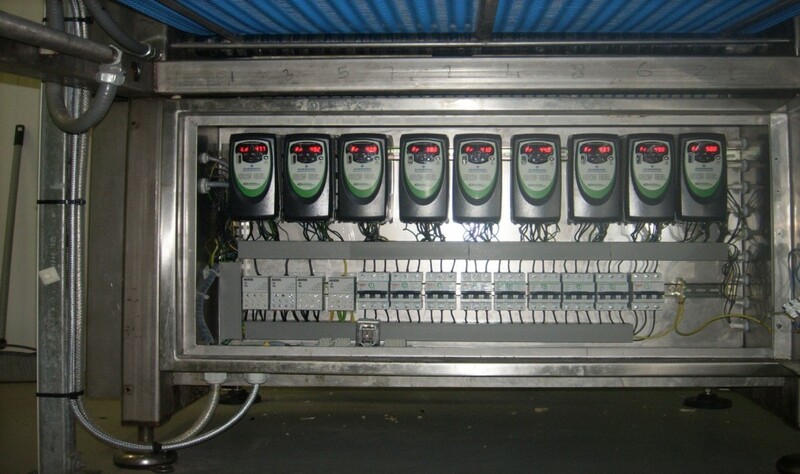 Also, the system is now controlled by a PLC which can detect a blockage and stop the conveyors before any damage can occur. The project went on to win first place in the 2011 Meeta awards in the ‘Best Technology’ category. MEETA 2013 – Addition of a HMI to Monitor, Control and Maximise Production. 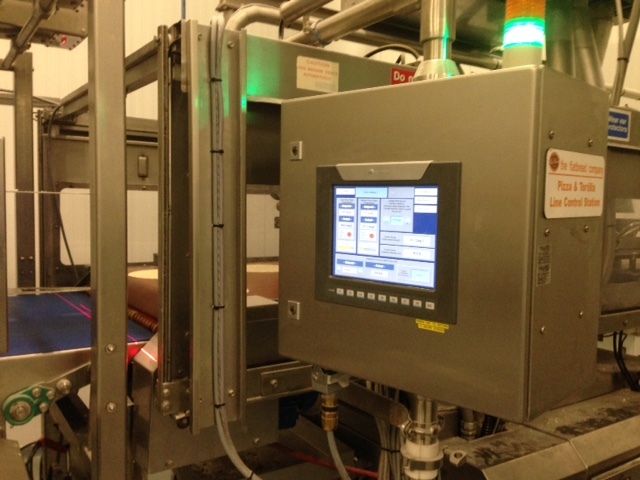 In 2013 the FBC added an industrial computer, or HMI, to their production line – this monitors the production speed and process variables. If the line is running below full capacity the HMI will alert the operator and corrective action will be taken. This has helped significantly with increasing throughput and has created a more efficient process. It also brought about some other improvements such as better energy consumption, a more user-friendly operator environment, automatic process recording and tighter process control. The project is a good example of how a company can ‘sweat’ their assets to maximise productivity in challenging times. 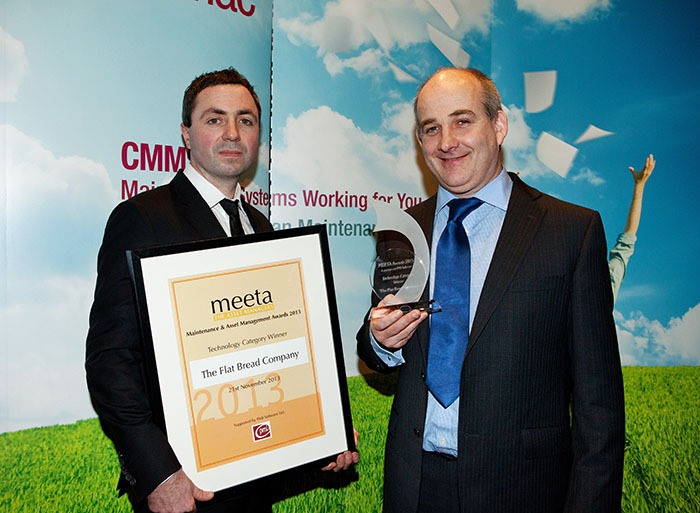 The project won first place in the 2013 Meeta awards in the ‘Best Technology’ category.